Since long Mercedes Benz has been widely embraced as a synonym for luxury and quality. We are all aware of Mercedes Benz specializations- the brand have itself established in the domain of manufacturing luxury vehicles, buses, trucks etc. and serves client across the globe. The roots of origin of this German based automobile manufacturer can be traced back to the 1886 Motorwagen which is, at large, believed to be the first ever automobile powered by gasoline. Mercedes Benz, of course, has the target group of the high end clients. The slogan they chose ideally tells us what to expect from this international automobile industry player- ‘Best or nothing’. The entity has practically been proving what they claim. They simply do serve the best. Still, there are best among the best as well. So here is the list of the best, most desirable and great cars from Mercedes Benz. In 2002, CLK GTR Roadster version dawned after the manufacture of 20 (out of the planned 25) CLK GTR coupes were completed. They were all custom built for selected clients. It certainly qualifies for a special attention and you know why. One of these was built with RHD steering for Hassanal Bolkiah. The roadster can lounge to 100 Km per hour in a matter of 3.8 seconds. The 6.9L V12 squeezes 605 hp and allows a top speed of 320 Km per hour. CLK GTR is also the record holder in the Guinness Book of World Records, as the most expensive production car. And, guess what, we personally love its look! Current market value: $3.5 million. At times, this was popular as the car of the kings. Simply having a look at it would clear why and how it was among the favorites of the officials and high ranking community back then. Not just the upper class officials, it was (and is) admired by everyone. It was under production chiefly from 1936 – 1940 (though a few more were produced in later years). The manufacturer had hugely reaped benefits from this beautiful product in the pre-war period. The then Nazi Germany offered a strong market. The one shown here is a Cabriolet B at Mercedes-Benz Museum, Stuttgart, Germany. No top Mercedes Benz list would be complete without this guy. The model was under production for the period 1954 to 1963. Now, back then this amazing this produced 220 hp, how cool is that? The model, with its oh-so-maddening gullwing doors and the then ‘fastest top speed’, inevitably became such a grand success as race car back in 1953, that the manufacturer had to finally put it into production. There is no much explanation required as to why one of the auctions fetched over $4 million for a Gullwing! 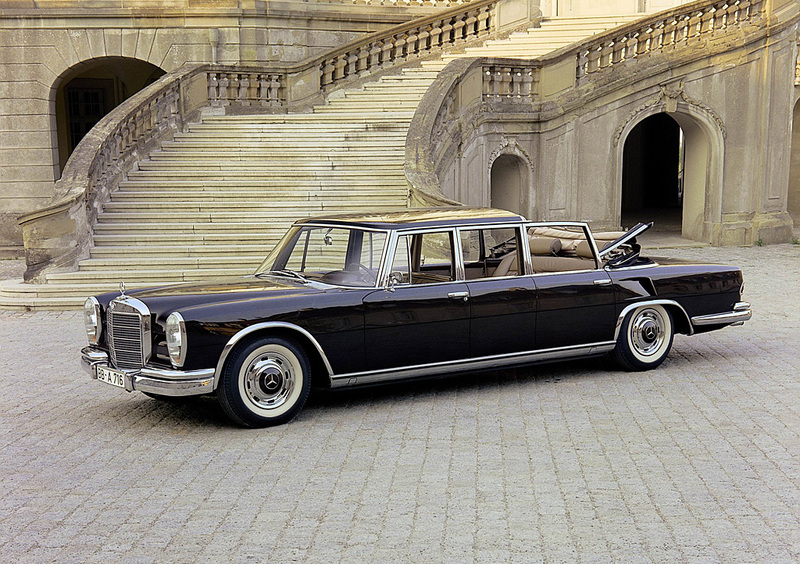 The old day limousine, as one can call it, had its production from ’63 to ’81. No wonder why it was favorite for the royal family members and is still popular among car enthusiasts. It has numerous popular owners ranging from celebs and business tycoons to popular politicians. Hydraulically driven parts added to its attraction. Some of this luxury vehicle models now hold amazing high market values. Okay, you heard a ‘car of gold’? This is it. This is in the top 5 list for the obvious reasons. At $10 million, it is, without a doubt, one of the most expensive cars in the world. The McLaren, custom made for and owned by Ueli Anliker, a Swiss entrepreneur, is getting a pretty lot of attention. Why so expensive? Gold isn’t cheap. And, there is roughly 5 KGs of 24 carat pure gold dust all over (and inside) that thing. And, that’s just not gold in there. There are full SIX HUNDRED rubies in the McLaren. As per records, the tuning order took about thirty thousand man hours and 35 men. The engine tuning is still going on so as to bring the power output up to 1000 hp. Well the thing has got a good acceleration as well- it can jump to 60 kmph in 3 seconds! To be honest in considering, you admit it or not, $10 million is actually a steal for this one. Though it didn’t attract so much of positive reviews, it certainly does make quite a show. Note: we aren’t yet sure how much we actually and truly like it! Which one did you like/dislike? Did we miss out any of your favorite ones? 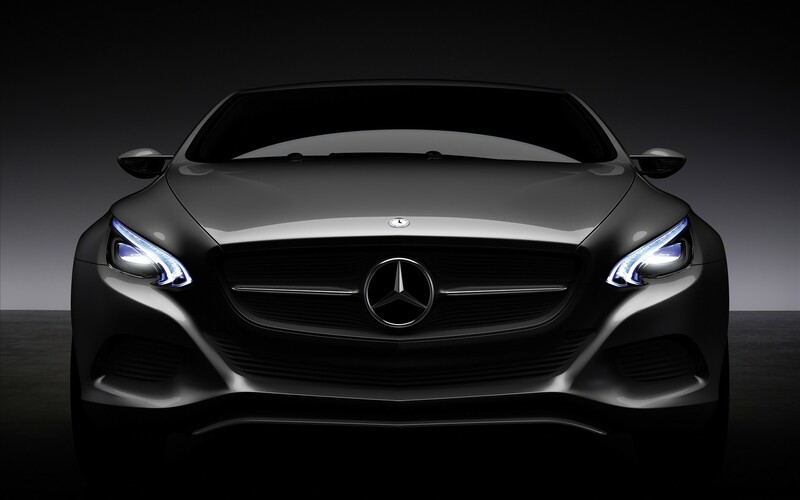 We would certainly like to know which all Mercedes Benz models top your favorites list!